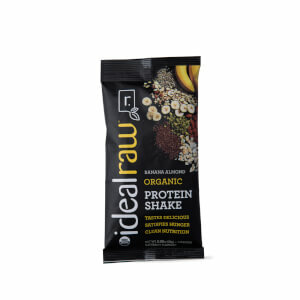 IdealRaw Organic Protein is the only organic protein that can satisfy both your yoga teacher and your sweet tooth. 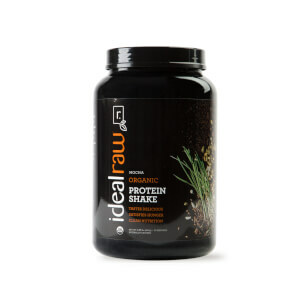 With a blend of 7 organic plant-based proteins, plus superfoods, organic cocoa powder and no artificial ANYTHING, IdealRaw Protein fuels your active lifestyle with clean nutrition and rich chocolate taste. It’s natural, organic, and healthy for you and the planet— but tastes so good, you might not believe it! It was good and gratefully not too sweet. I have been put on a Plant Base Food Plan only and need the extra benefits of your products to meet my daily requirements. Glad I found your website. Tried it last night and it was pretty good. Probably would be even better with a banana or maybe strawberries. I will probably purchase again and also purchase the Chocolate Peanut Butter next. The chocolate protein powder is one of the best tasting powders I’ve purchased. I mix it in my smoothies and also in my homemade protein bars. 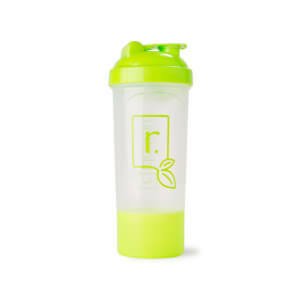 I gave this product 4 stars because it just doesn't mix well with anything but water (like soy milk in a shaker cup). 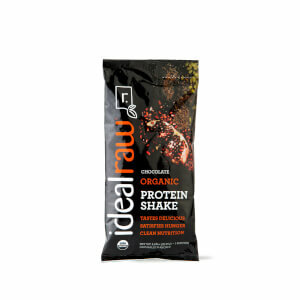 However, using a blender to make a shake/smoothie works really well and the flavor of the protein is really good. I've tried basically every different vegan protein powder on the market and for the price, this one is at the top of my list. Other brands of protein powder have bothered my stomach, this one is perfect. No problems and tastes good! I’ve been using chocolate for two years. I put a scoop in my coffee once it’s cooled a bit and it starts my day off right. I’ve tried vanilla kinda chalky, super berry -good in a spinach cilantro smoothie, and choc Pb which I use in my oatmeal. Good stuff. The protein powder is yummy, but a little on the chalky side. 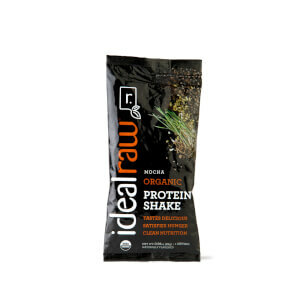 It fills me up like any of the best protein powders without the price. Totally worth it being a little chalky. Completely and fully in love with all of these flavors but honestly the chocolate tastes like chocolate cake batter, so exciting!